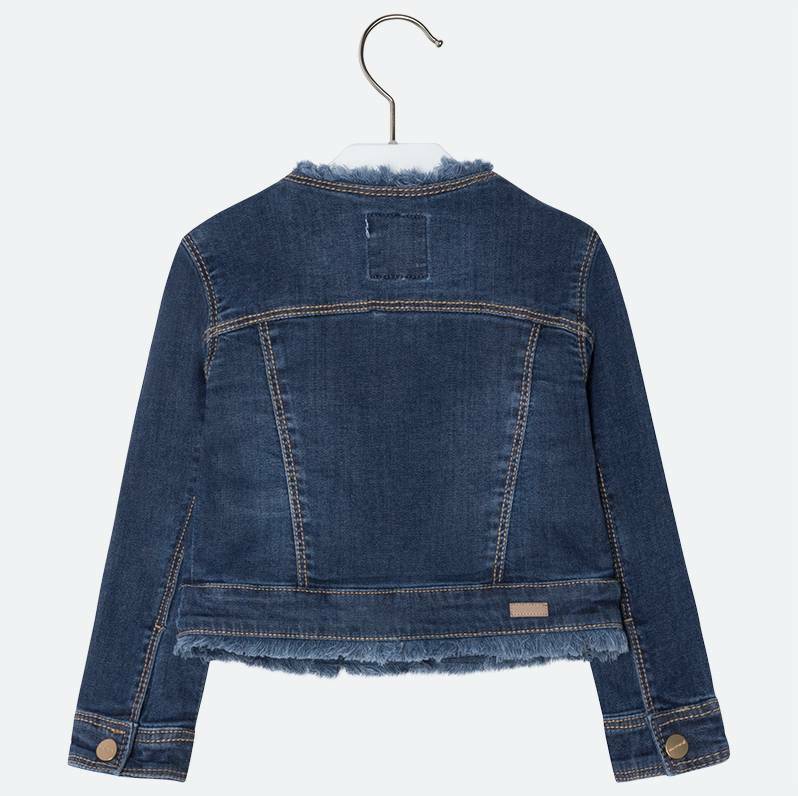 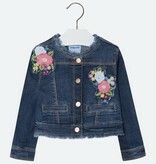 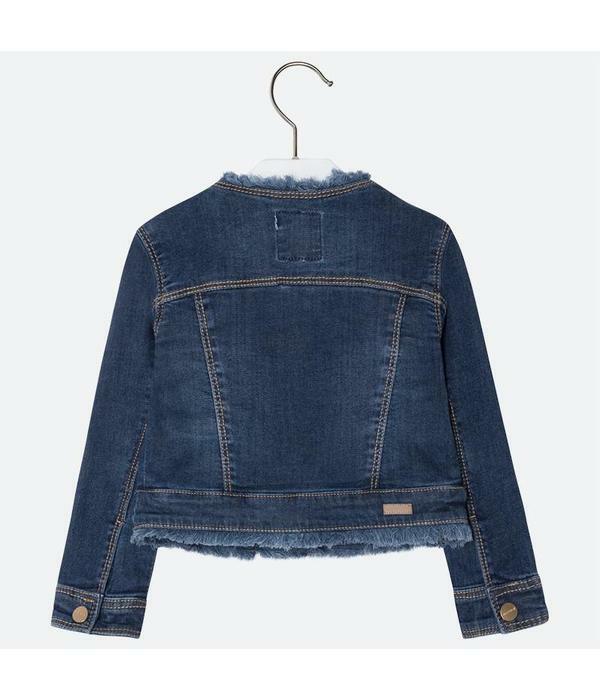 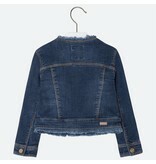 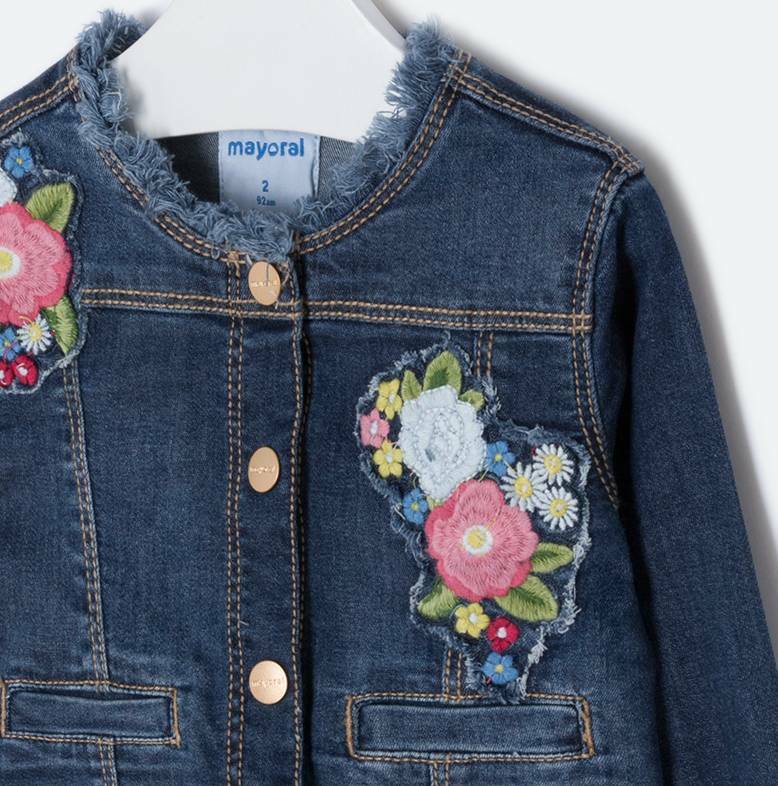 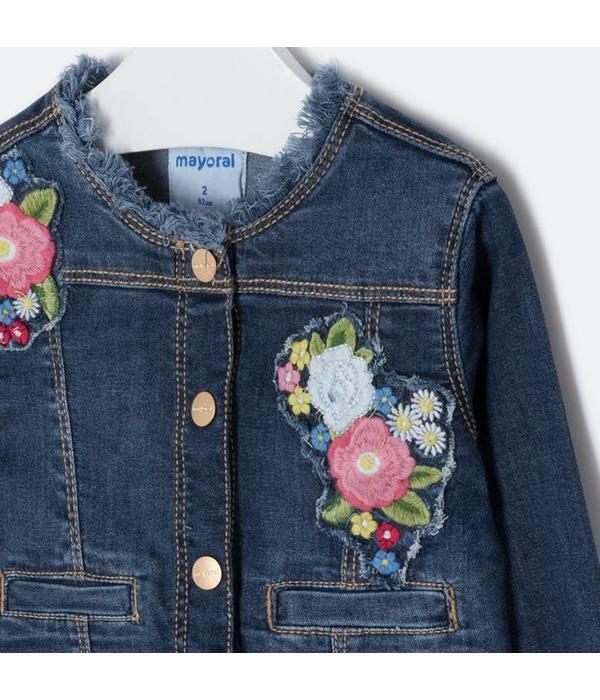 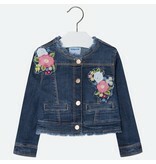 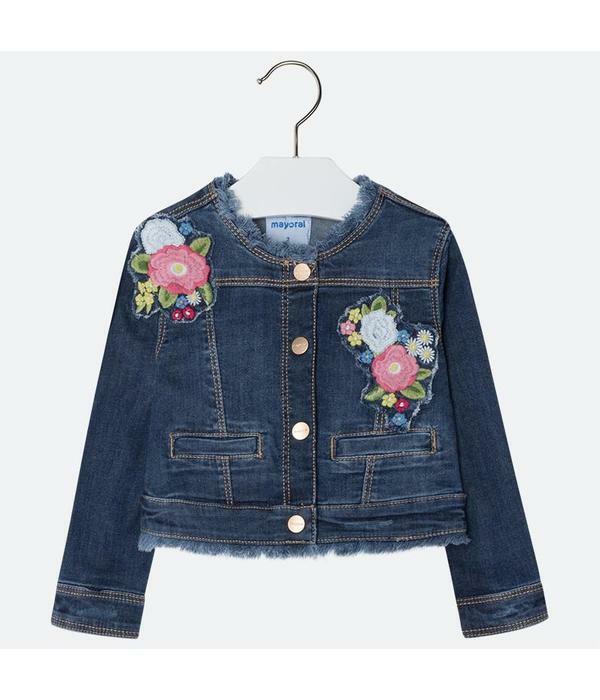 Fun and cute denim jacket with dark wash and used effect. 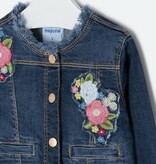 It also has embroideries and snap button opening. 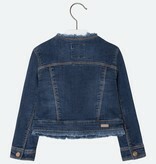 Frayed neckline and hem.